We all want to have smooth legs all the time, especially in summer when we expose them the most. As I mentioned in my Sugar Body Scrub review, I’ve been learning how to do sugaring hair removal. And literally, I’ve tried hard and there must have been over dozen unsuccessful tries. But since I’ve also experienced professional salon sugaring and saw how my sensitive skin was really comfortable with the process plus the long lasting effects, I decided that one day I will learn how to do sugaring technique at home. ‘Easy’ would be the last word which I would use in connection with learning how to do sugaring hair removal, either with the ready to use purchased product (e.g. 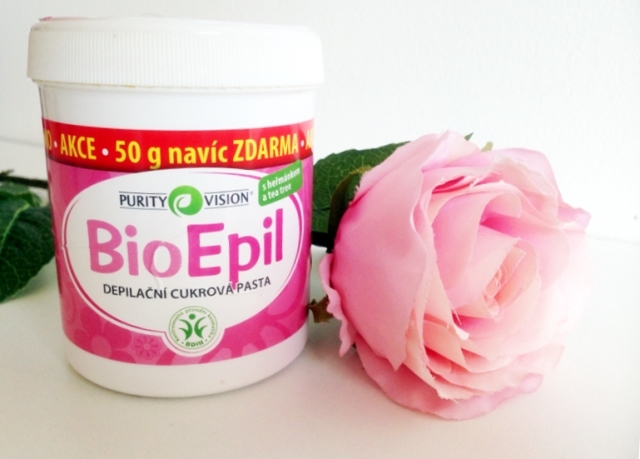 Purity Vision Bio Epil sugar paste) or with the sugar paste recipe. Why do I promote diy sugaring hair removal then if it is no easy to master it? Because it is worth the effort! I love the pros in comparison to other hair removal techniques – after sugaring the new hair starts growing after weeks not hours and it is much thi nner. You also get smooth legs without any irritation or in-growth side effects. If you want to find the sugar paste recipe, check out the video tutorial. In order to save your time, buy sugar paste for friendly price at notino. I recorded a short video of how to do sugaring using the Bio Epil sugar paste. Hope my tips are useful and let me know about your results!